First boy: Are you having a party for your birthday? Second boy: No, I'm having a witch do. First boy: What's a witch do? 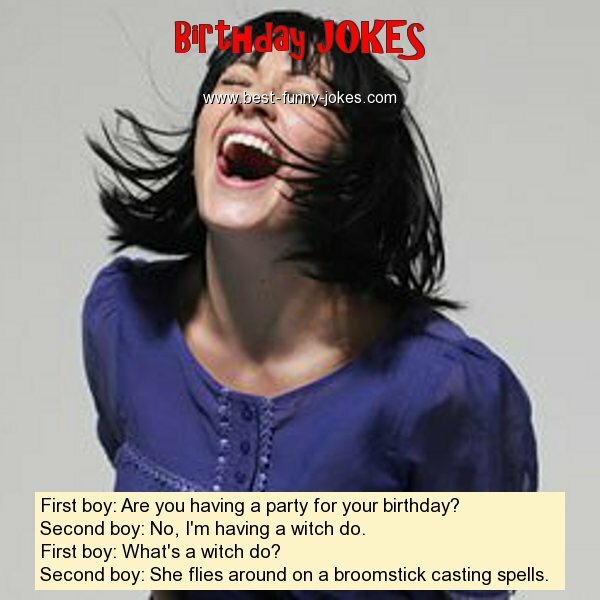 Second boy: She flies around on a broomstick casting spells.